How can you lead off this list with anyone who isn’t named Peyton Manning? 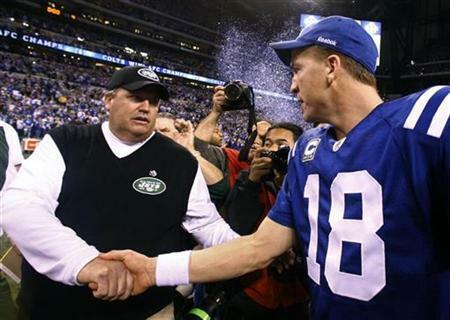 The future hall of famer reached a new plateau, becoming the NFL’s all time leading passing touchdowns leader. But he didn’t stop there, and threw another touchdown. 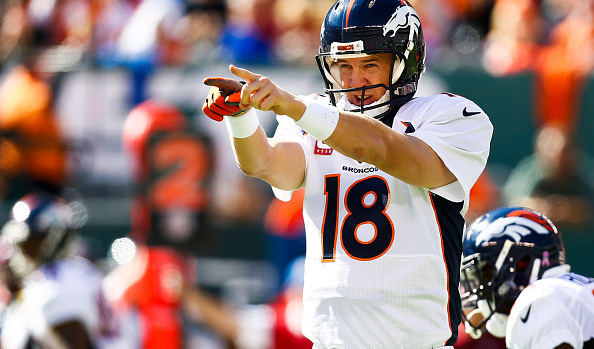 Manning finished the day with 318 passing yards and four touchdowns. It just so happens that the Bengals were shutout but I’m blaming Bernard here, simply because of his dip in performance from the week before. A week after his 157 yard performance, Bernard could not find success this week. He finished the day with just 17 yards on the ground and without a touchdown. Thomas caught Peyton Manning’s record breaking touchdown as part of his two touchdown night. Thomas finished the day with eight catches on nine targets for 171 receiving yards. Jeffery was a big disappointment this week. He had just two catches for nine yards, and that’s not acceptable, especially since the Bears were already down 14-0 and were forced to throw the football. Russell Wilson had another outstanding week. He threw for 313 passing yards and two touchdowns. 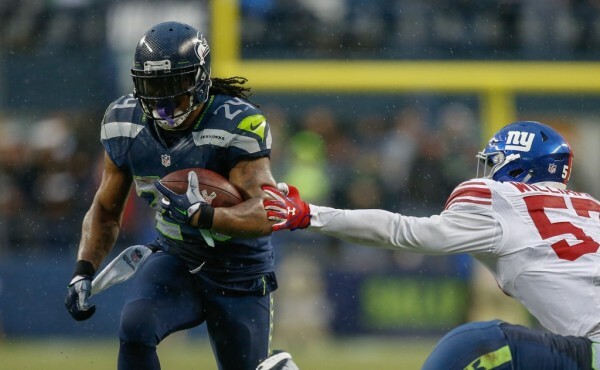 Once again, Wilson proved his value to fantasy owners and added 106 rushing yards and a touchdown as well. Surprisingly, Thomas had a off night on Sunday. He caught just four of his six targets, including a brutal drop. Thomas still leads the NFL in touchdowns though with nine. Sammy Watkins had a great day with a pair of touchdown catches. The highlight was his second touchdown grab, which gave Buffalo the lead with a second left on the clock. The Bills had a pretty dreadful second quarter. No, it wasn’t because of the score, but rather their backfield. 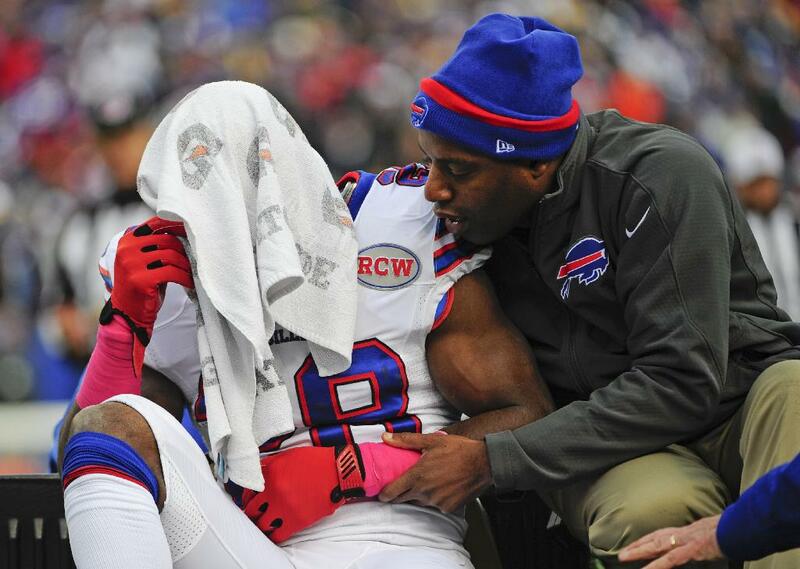 Both Fred Jackson and CJ Spiller went down with injuries and will be out for the next few weeks. Not great for a team that is trying to compete in a competitive AFC East. Remember how I said that one play could land you on the studs or duds list? These last two studs are complete examples of just that with their trick plays. Wide receiver Antonio Brown came around the backfield to take a reverse. He curled back around to the left with the ball and fired one straight into the chest of Lance Moore. The trick play gave the Steelers the lead and eventually the win. The trick plays of the weekend came in St. Louis. The Seahawks, who are argued to have the top punt coverage unit in the league, were fooled multiple times by the Rams. First, they were set to return a punt as the Rams were backed up to their own 18 yard line when punter Johnny Hekker passed the ball for a first down. Then later in the game, Seattle set out to return a punt. The Rams ran back towards the left side of the field to block for return man Tavon Austin, bringing the Seahawks along with them. The punt actually came down on the opposite side of the field to Steadman Bailey, who had an almost open sideline. Bailey took the return all the way back for a touchdown. The Rams went on to beat the defending champions 28-26. Jones came into this matchup knowing that he was going to be Matt Ryan’s primary target, with Roddy White sitting out with a hamstring injury, and he was exactly that. 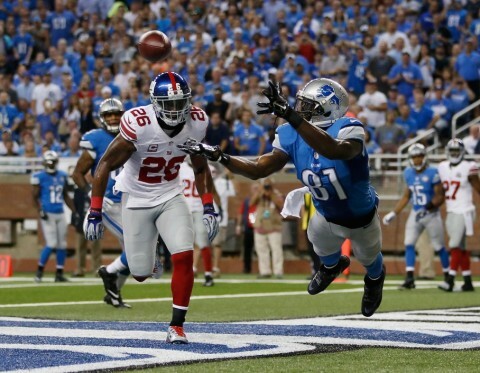 Jones was fantastic, hauling in nine receptions for 161 yards and two touchdowns. My first dud handed out for week three has to be Stephen Tulloch. The Detroit Lions linebacker had a great sack on Packers quarterback Aaron Rodgers on third down, in what was a very exciting moment in the first quarter. Tulloch was excited and opted to taunt rather than go back to the sidelines. While attempting the “Discount Double Check,” Tulloch leaps, lands awkwardly, and immediately goes down. As it turns out, Tulloch tore his ACL and will sit out for the rest of the season. Andrew Luck was on point again, completing 31-of-39 passes. Luck completed passes to nine different receivers. The accuracy helped his stats, and he finished the day with 370 passing yards and four touchdowns. Fantasy owner have been waiting for Thomas’ breakout game and they’ll have to wait another week. The number one Broncos receiver had four catches for 31 yards. He didn’t score any touchdowns, and heads into the bye week after an outing that was simply frustrating to watch. The Falcons D/ST had themselves a phenomenal game, highlighted by a 62 yard, record-breaking punt return by Devin Hester. Hester scored his 20th career return touchdown, passing Deion Sanders for the top spot on the all-time return touchdowns list. The Falcons also had a 27-yard interception return for a touchdown and recovered four fumbles. 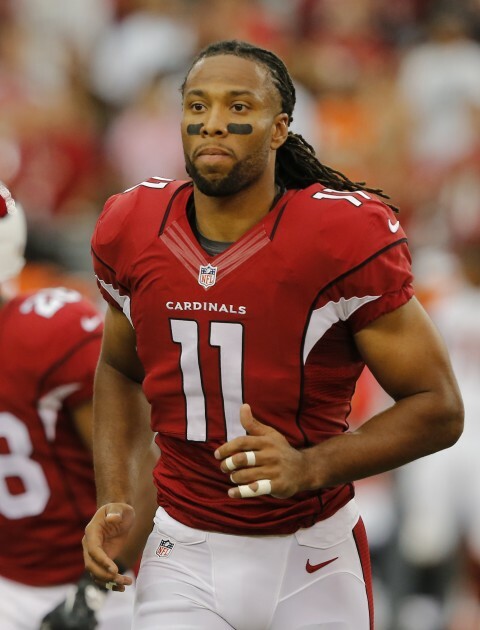 What ever happened to the Larry Fitzgerald of old? Well, that’s what I’ve been wondering after he was virtually invisible over the first three weeks. This week, he had just three catches for 34 yards. He has yet to find the end zone this season and that doesn’t spell well for his fantasy owners. Fuller played a huge role under the bright lights of Broadway on a national stage. The rookie cornerback had an interception, two forced fumbles and seven tackles on Monday Night Football in a win over the Jets. Yes, the entire team belongs here. The Bucs got absolutely smacked by the Falcons last Thursday. They allowed a whopping 56 points on a total of 488 yards, with 344 yards coming from the air. Tampa Bay will also need to hold on to the football, after fumbling four times. They’re going to have a rough time in the final two games of their road trip in Pittsburgh and New Orleans if they continue to play like this. New game, same stud. Cousins has been great all season and this week was no different. Cousins threw for 427 yards and three touchdowns. If he keeps up to the pace that he’s at, Washington D.C. will have a lot to cheer about. Both Maclin and Foles deserve credit in their win over Washington, so I’m placing them together. The pair hooked up for eight receptions and 154 yards. Foles finished the day with 325 passing yards and three touchdowns.